It’s mid-August in L.A., and there’s no heat wave? I grew up in Los Angeles and I can’t remember a milder summer. So why not take advantage of this perfect summer weather and try an outdoor museum family activity. The Skirball Water Day festival on Sunday (August 21) is my Pick of the Week for fun things to do in Los Angeles this weekend. This event is all about one of our plant’s most precious resources, water. There will be artist-led creative water-based games and art studio activities for the entire family; plus live “wet and wondrous” performances by Chinese acrobat Jason Jiang in the Skirball’s outdoor amphitheater. 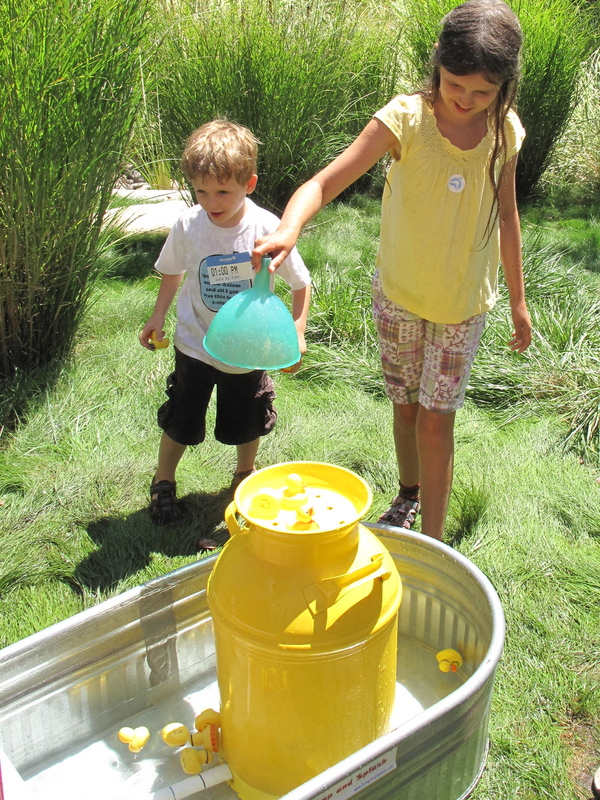 In the Pasadena area, there’s a Family Day at the Norton Simon Museum on Saturday (August 20). This family program, “Water Lilies, Dragonflies and Cattails…Oh My?,” explores the Museum’s garden designed by Nancy Goslee-Power. Your children can discover a variety of plants, bugs and water life, and then create their own gardens. Be sure to take the family for a stroll through the Norton Simon’s paintings galleries to see one of my favorite collections in L.A.
Calendar Week of August 15-21: Orange highlighted program titles indicate special programs for this week only; or repeating programs that feature a new theme, performer, or movie each week/month. All other program listings repeat daily/weekly throughout the summer. Always click on activity links for program details, and to confirm the date and time. Museum schedules can, and do change, from time to time. And be sure to subscribe to this blog to get an email copy of this calendar every week. FAMILY DAY: Water Lilies, Dragonflies and Cattails…Oh My? FAMILY ART LAB: Fancy Fashions! Free tickets required – available at museum box office. Special admission fee required. Free to Members and Children under 2. Free to all visitors on Thursdays. Advance tickets recommended weekends, Thursdays, and school holidays. Posted in Calendar Picks, Skirball Cultural Center. Tagged as art museums, children, families, family activities, kids, kids activities, L.A., Los Angeles, Museums, things to do in L.A.
L.A. Museum Kids Activities Summer 2011 Calendar: Last Week!